As it’s been teased for at least a decade, the reveal of the Final Fantasy VII remake at this year’s E3 was legitimately shocking. In 2005, a gussied-up trailer was used to show off the Playstation 3’s technological capabilities… but it was wholly unplayable. Last year, it was announced that FF7 would be coming to the Playstation 4… as a PC port, blocky graphics and busted translations all. Square Enix produced games in the FF7 world, like Crisis Core: Final Fantasy VII and Dirge of Cerberus: Final Fantasy VII… and still, there was no news of a proper remake. Like "Chinese Democracy" or "Black Messiah," it was an industry white whale. But now, when no one was expecting it, parent company Square Enix has finally announced what the people want, right as Final Fantasy VII has aged from recent history to generational experience—from a game we were all playing to a game we all played. What was Final Fantasy VII? Of course, not everyone played video games, and it’s important to contextualize how and why people talk about FF7 as maybe the best game of all-time, full stop. Final Fantasy VII was the prototypical Japanese RPG, or “JRPG.” There’s a formula for JRPGs: You control a main character, and serve as the dedicated actor of a plot that boils down to “kill the villain, save the world.” You traverse the world, battling monsters to gain experience points and “level up” your statistical attributes as your enemies scale upwards in difficulty. The game incorporates a turn-based system, where each character in a fight—the three you control, and however many enemies you’re facing—takes turns performing actions, such as attacking with a magic spell, or healing an ally. 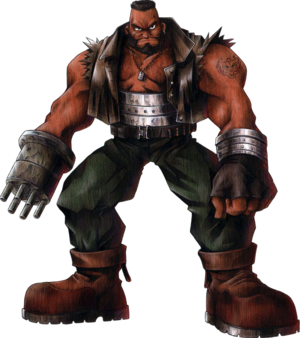 In FF7 you play as Cloud, a mercenary hired to environmental terrorists to help detonate a reactor draining the life from Midgar, a dystopian industrial city where the rich live in towers and the poor live in slums. The immediate enemy is Shinra, an omnivorous, omnipresent corporation attempting to profit wholesale off the world’s natural resources. But soon enough, Sephiroth, a maniacal swordsman with flowing, silvery tresses and a ten-foot katana reveals himself, disrupting the corporation by killing its president and pledging to destroy the world in honor of his Jenova, his headless alien mother. It gets complicated—duh—but the short of it is it turns out you’re fighting to save the planet on two friends: from the corporation that would over-develop it into a post-industrial hell, and from the nihilist who would see it all burn. There’s some other stuff involving mad scientists, an ancient race of pre-human planet inhabitants, space travel, a promised land—plenty of narrative meat for players to chew on. Apart from the story, FF7 was also the best prestige JRPG to offer a hybrid of classic and modern mechanics. It was mostly three-dimensional, as you controlled polygonal characters moving against gorgeously pre-rendered backgrounds. Flat maps became fully rotational; two-bit towns faking depth through orthographic trickery expanded into full cities. The characters models were cartoonish, but their blockiness suggested a body. The turn-based system wasn’t new but the camera angles changed dramatically during combat, mimicking cinematic action. It was familiar, and yet, different. FF7’s world, too, was both archetypal and wildly variable. In your party of characters, there was a moody, loner bishounen and his his gorgeous, girl-next-door best friend (who was also in love with him, obviously); there was also a talking cat-dog and a former hit man-turned-vampiric shapeshifter. You explored decayed cyberpunk metropolises, glittering casino wonderlands, a version of ancient Japan, snake-infested swamps, desert junkyards, the monster-infested North Pole. You dove into the ocean to fight hulking, emerald-colored environmental guardians; you bred multichromatic birds, and raced them for profit. It was a mix of just recognizable and completely fantastic, each character and location an individual fandom unto itself, which put together formed an unwieldy mega-planet made acceptable by the width of exploration and range of activities. 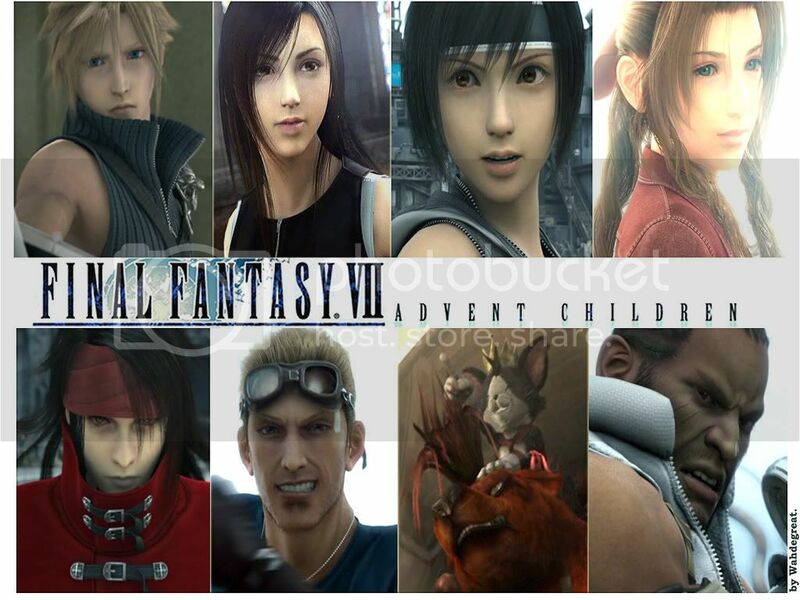 As a kid, I gravitated toward FF7 because it reminded me of all the anime I was watching. No game I’d played had seemed so thoroughly Japanese, from the involved melodrama to the dynamic character design, with every character looking cool enough to be on a poster. FF7 came right as Japanese imports like Pokemon and Dragon Ball Z were finding larger audiences, and right as Cartoon Network launched its Toonami brand to better service the growing otaku audience. It was the right place and time for such an engaging game with such a forward-thinking foreign aesthetic—it was hip, at least by video game standards, and eventually became the highest-selling Playstation game of all-time. Square Enix continued producing quality video games, but they never quite captured the zeitgeist with another Final Fantasy. Subsequent installments were too serious (Final Fantasy VIII), too nostalgic (Final Fantasy IX), too jargon-y (Final Fantasy XIII). 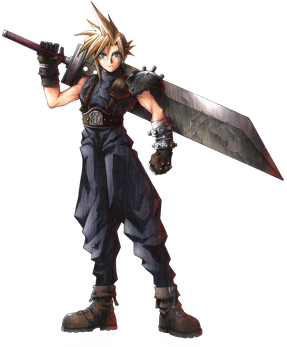 As the years went by and the West’s influence in video games grew, Final Fantasy VII became idealized as the perfect example of an older model. Bioware shifted the status quo with action-RPGs such as Star Wars: Knights of the Old Republic and Mass Effect—games where games where your character was still improved by the same system of levels and customizable abilities, but able to fight fluidly within the environment rather than be limited by a turn-based system. Games like The Witcher, Fallout, and Elder Scrolls built upon this open world formula, and became the standard for RPGs. A game like Final Fantasy VII hasn’t been successful in North America in a long, long time… begging the question of what Square Enix might be accomplishing by pushing ahead with the remake. From the start, Square Enix has already clarified that the game will undergo a transformation process to bring it from 1997 to 2015 (or 2017, the earliest possible date the game could come out). It’s hard to imagine the game retaining its more yellow components, such as the brothel where Cloud, in drag, is groped by a group of muscled men and the aerospace mechanic who beats his wife. Some sense of the game’s more realistic direction was shown in Final Fantasy: Advent Children, a direct-to-DVD animated movie that picked up where Final Fantasy VII left off. Characters lost their exaggerated "blackness", their obscene proportions, their hair that stuck out like shards of glass. They became human, essentially. But I wonder how far into the future they’ll reach, especially as the JRPG’s popularity with Western audiences has declined. The franchises I mentioned above—it’s not only that they’ve embraced a different form of gameplay, but that they’ve taken the narrative away from creator and placed it in the hands of the player. 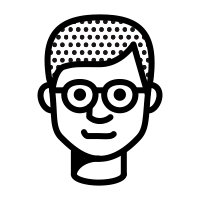 In those games, you play the ultimate role: yourself. Stories branch into dozens of paths depending on how your dialogue decisions alter events. The character you control loses specificity, too, as his personhood depends on how you’re feeling that moment… or, cynically, what type of “ending” you’re trying to get. In these games, it doesn’t really matter what your character does—it’s only what your choice says about you, the player. The dedicated single-player RPG narrative, in which you discover a plot through hundreds of premeditated lines spoken by premeditated characters, is a thing of the past. It’s telling that the remake comes at the height of Square Enix’s irrelevancy, as they haven’t created a mega-hit or original franchise since Kingdom Hearts, another dormant franchise that’s looking to finally see a new installment within the next few years. It’s hard to imagine another supposedly top tier gaming company reaching back into its own catalogue for its project. Rock Star isn’t trying to remake Grand Theft Auto III, because they’re busy working on Grand Theft Auto VI. FF7 was complex enough for its time, and yet antiquated by today’s standards. It’ll be forced into modernity, or else it’ll completely fail. Other games have been remade—Resident Evil got a nice makeover—but enough time has passed for this new FF7 to reach an entirely different gaming generation. It’ll likely supplant the original iteration, too, because games are such lengthy experiences. It’s hard to imagine someone wanting to play two 60+ hour RPGs telling the same story, when one of them will seem so… old. So when the new FF7 becomes standard, what happens to the original release? Perhaps outmoded, the game you and I grew up with will fade into history, a relic of the past. That’s if Square Enix doesn’t blow it—reduces idiosyncratic quirk to drably hip formula, emulating the moody blues of Advent Children and reinterpreting FF7 as a series was about hot people with cool hair. The turn-based system, assuming they keep it, feels turgid; the plot loses its surprise. How could Jenova ever look scarier than a drawing; how could Aeris’ death ever feel as unexpected? But the game was oddly prescient in its thematic relevance, and therefore well-suited for a modern update. Shinra was looking to buy the world, by usurping each unique city into one Big Brand. Sephiroth, meanwhile, was a radicalized soldier driven insane by the extra-moral activity of his society—an educated terrorist, with an worshipped alien death goddess in tow. The one hope for salvation is believing in the irrepressibility of good, a naivete that is only found in video games like these and Superman comics. It’s an argument for optimism in a decaying world, ravaged by the sins of its past… which, in 2015, feels more than most games. This is what I think about when I consider that, ultimately, I am excited for the remake, because it’ll allow me to justify revisiting one of the best video games of all-time in a different context. The last time I played Final Fantasy VII was, maybe, seven years ago, when I was studying abroad in London and living in one of the student dorms. One of the girls on my floor, R, loved video games—she’d brought a lot of them, and after we became friends, we decided to replay Final Fantasy VII. I’m remembering us sitting on her bed, sharing turns with the controller, revisiting old towns and characters we barely remembered, rediscovering what made it a great game. We ended up not finishing it before I went home, and I haven’t touched it since. But what I remember is how we bonded over sharing the experience, this game that was vital to our formation as people who loved video games. May it feel the same way in 2017 (or whenever).